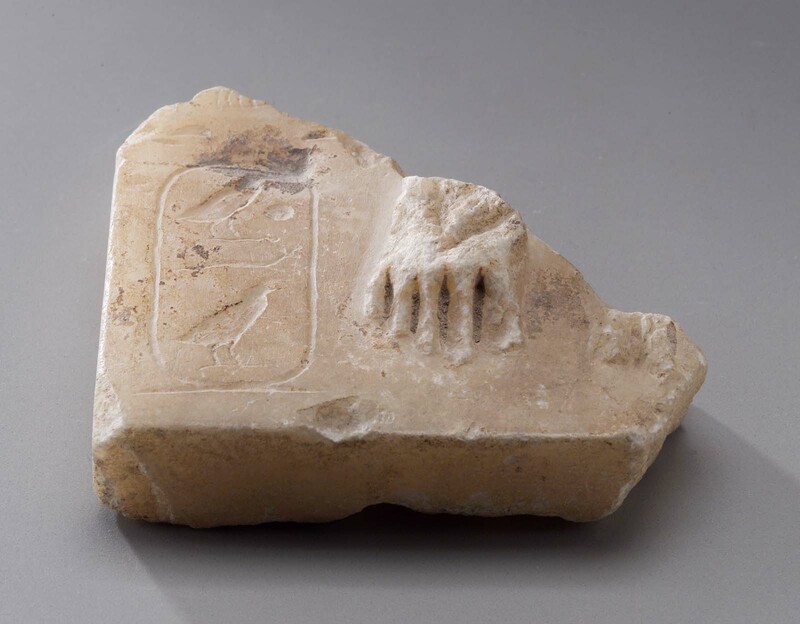 Base of statue with fragments of feet; cartouche of Khufu. From Giza, N of subsidiary pyramid GI-a. 1924: excavated by the Harvard University–Boston Museum of Fine Arts Expedition; assigned to the MFA in the division of finds by the government of Egypt.